Old Colony Heating, Air Conditioning & Plumbing is proud to serve the Pembroke community! Pembroke, Massachusetts is a residential town located in Plymouth County, and about 17,800 residents call the community home. This town is situated about 32 miles southeast of Boston, although there is no rail service that directly connects the two communities. As the population in Pembroke grew throughout the years, the town decided to break away from the Silver Lake Regional School District to form its own district, and Pembroke High School was created in 2004. In addition to its commitment to education, the Town of Pembroke is supportive to several arts programs, including the Pembroke Association of Performing Arts and the Pembroke Imperials Drum and Bugle Corps. Despite being a primarily residential community, there are a few notable destinations in Pembroke. Visitors or residents looking to spend some time outdoors might enjoy playing a round at the Pembroke Country Club or Sandbaggers Range. 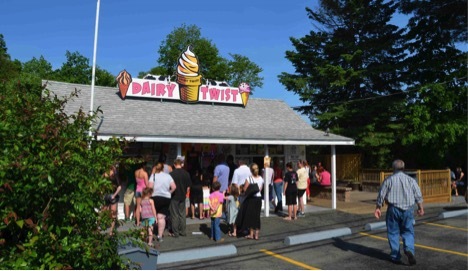 On a hot day, families often enjoy a trip to the locally famous Dairy Twist for some ice cream or frozen yogurt. Additionally, visitors and residents alike who might need a little rest and relaxation can book a service at BodyWright Massage Therapy, First Impressions Salon and Spa, or Uljas Koitto Temperance Society. Outdoor activities in Pembroke are varied throughout the year due to the vastly different weather conditions that come with the seasons. Weather extremes are likely during the winter and the summer months. During the winter, conditions are cold with significant precipitation. Depending on temperatures, this can be cold rain or heavy snowfall. Daytime highs might reach the 30s, but overnight temperatures usually fall well below the freezing point, making it crucial that residents have access to a home heating system to stay safe.